Greybeards - ancient, and, at the same time, small order, whose members follow the Path of Voices based Jurgen Windcaller. Way Voice - this doctrine and ancient form of spiritual magic, allowing invest their vitality in "Thu'um" or Voice. This ancient form of magic used to be widespread among the Nords of Skyrim, using it they could knock out the gate and strike enemies, but now only Greybeards study the Way of the Voice.According to legend Greybeards, Voice Nords was given at the beginning of the time of the goddess Keane, giving people the opportunity to speak as talking dragons. Earlier this gift was used for military purposes in the victory, but then, according to the teachings of the Way Voice, this was an inappropriate use of voice, let the voice in the course was only to serve. Because Sedobrodye use voice in praise of gods and never interfere in politics. Gray-bearded believe that true mastery can be achieved only through the harmony of mind and body, they speak with the voice of the sky and try to achieve a balance between the internal and the external world. Most have to learn for many years before they will be able to Shout. Reaching power in the Way of the Voice Greybeards are no longer able to talk without causing damage. They have to make signs or write.Greybeards live retire at High Hrothgar, on top of the Throat of the World - the second highest mountain in all of Tamriel, and almost never go out of the monastery. 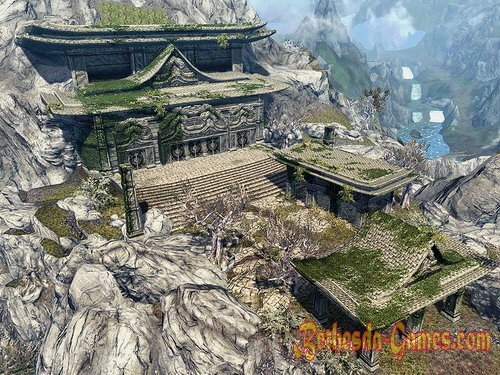 To the great Hrothgar are seven thousand steps, pilgrims from all over Skyrim come here only to climb over them to the birthplace of the Greybeards, but almost all of them come back with nothing. Gray-bearded themselves choose those who will be a member of the Order, and who they will be taught the Way Voice, usually at an early age. Dark Brotherhood - an ancient and secret society of assassins. They consider themselves as one big family, whose bonds are soldered blood and death. Members of their society they call "brother" or "sister." With all of this is not only the Brotherhood of Assassins' Guild, but also a religious order, the worshiper Sithis - chaotic nature Padhouma. They kill not only for fun and money, but also for the sake of Sithis. Dark Brotherhood feels organization, the purpose of which is to play the eternal life in the interaction Nirni. Murder for them is the purest joy or celebration of life and the soul of their slain victims go straight into the abyss of their father's horror - Sithis. They do not advertise their services and their creed, they employ fear and mystique. However, lately the Dark Brotherhood was on the verge of extinction. After the Great War seekers Dark Brotherhood, one after another were either abandoned or destroyed in the war itself, or arising after the turmoil. In connection with the loss of shelter organizations has become more difficult to execute contracts, especially in places where there is their physical presence. Although in the environment of the Black Hand, the tops of the Dark Brotherhood, and were born the idea that the Brotherhood either need to re-expand its influence, or become more united, the situation is getting worse and worse. Dark Brotherhood is trying to create the illusion of its presence to the people lost faith in itself Brotherhood, and in Dark Sacrament, however, potential customers sometimes do not even get to get in touch for a contract, and even the quality of performance of contracts and at all costs to remain silent. The situation deteriorated even further after last heard was killed during the war between drug lords in Bravil since learning about the orders was not an example of more complicated. With each passing year the ranks of the Brotherhood of thinning and asylum emptied, and this has led to the fact that asylum remaining in Skyrim near Folkrita - the last refuge of the Dark Brotherhood in Tamriel. Current Dark Brotherhood had to move away from old traditions for the sake of survival. In the absence of Hearing individuals wishing to enter into a contract, are now relying on rumors and spy network. Dogmas, though underlie the code of conduct for members of the Dark Brotherhood, now are not required for compliance. Night Mother, the mysterious figure of the Dark Brotherhood, as well as the Black Hand, is no longer manage in the organization. 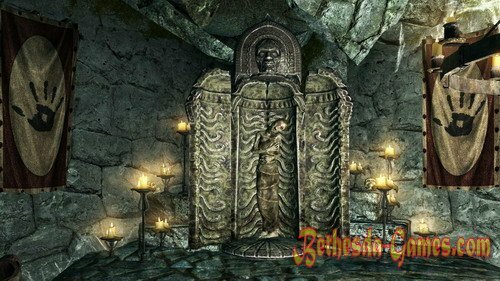 Last shelter was completely left to itself, but there are things that have remained unchanged in the Brotherhood - worship Sithis and contract killings, which are the main craft of the Dark Brotherhood. 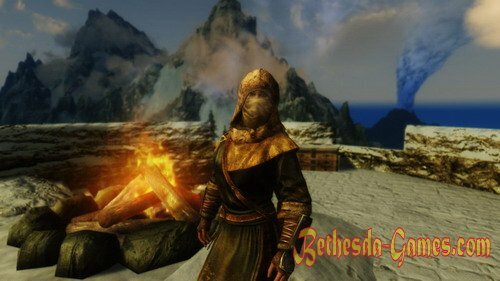 Now, however, the scope of their interests is limited to Skyrim, and the future of the guild of assassins known. Will she be able to restore its influence, or just waiting for oblivion? A member of the Dark Brotherhood can only be hardened killer. To the applicant has committed several murders soon will be representative of the Dark Brotherhood and offer to pass the "entrance exam", linked to the murder of the particular victim. Alas, in the event of failure of the newly killer may itself become a victim of the agents of the Dark Brotherhood. Thieves Guild - an organization which is entered into by thieves, burglars, pickpockets, smugglers and other members of the bandit estate. Almost all parts of the Empire, these criminals are combined in order to facilitate the marketing of the loot, experience sharing and mutual assistance. 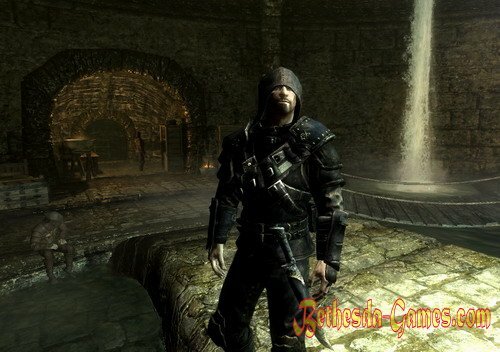 In Skyrim Thieves Guild was very popular, but now it is a mere shadow of its former greatness. It is no longer taken seriously, considering just a gang of thieves and pickpockets. Some members of the Guild believe that were cursed, but no one can say for what. Thieves Guild has lost influence in almost all major cities in Skyrim, now it can be found only in Riften, and largely thanks to the city acquired its grim reputation. Corruption, murder, corrupt guards - a common occurrence in Riften, in which power is vested in the Jarl only nominally. 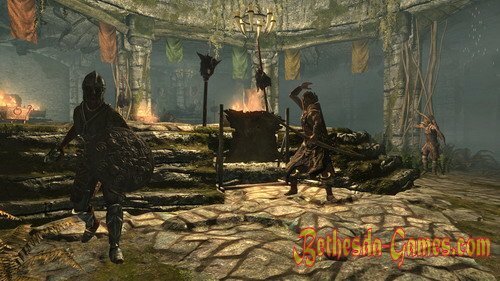 In fact, the city runs the influential Black-Briar family, which owns medovarney producing honey with the same name, which, although it has a reputation for cheap swill, precisely because of its low cost is one of the most popular goods in Skyrim. Head of the family, Maven Black-Briar, has close ties with the Thieves Guild and Dark Brotherhood. Given the current situation can be argued that it is due to the influence of Maven Black-Briar Guild is still afloat, and its services are in demand. Branch of the Guild is in exuberant Jar, which in turn is located in a rat hole, sewer system beneath the city. Last Rat Nora is a city under the city, where life was in full swing, no less than on the surface, but since then, the Guild has lost its former influence, Nora and lush Flask pretty empty. We should also mention the thieves group calling itself the nightingale. Many researchers deny the fact that within the unorganized Thieves Guild may be religious sect mysterious avengers Daedric Lord Noktyurnal. 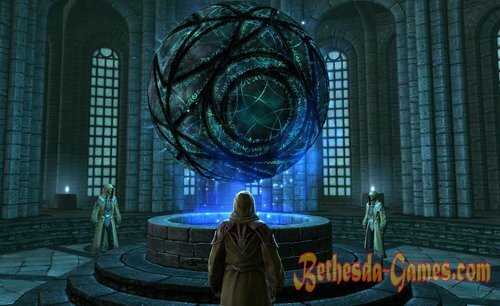 However, you can often find indirect evidence that this branch of the Thieves Guild, and if does not exist, at least there was before the territory of Skyrim. Nightingales associated with Noktyurnal business agreement, known as the Oath, and must in life and after death to protect against perceived threats Noktyurnal temple, known as the Tomb Sumrechnaya. Instead, Nightingales get some opportunities that may be used for personal purposes as well as for the benefit of the Thieves Guild. However, the question of whether or not the mysterious avengers Noktyurnal consist in the Thieves Guild and currently remains open. Companions - brotherhood of warriors, whose history is rooted deeply in the past Skyrim. Traditionally, the Companions went from five hundred associates who came with Ysgramor Tamriel, after he was forced to retreat in Atmore because of attacks on Saartal Elves, Nords first settlement in Tamriel. According to legend, after the Companions arrived in Tamriel, they found the Heavenly Forge - ancient buildings, near which they erected Yorravaskr - banquet hall, which to this day is a comfortable and safe haven for the Companions. Soon around Yorravaskra is conveniently located at the intersection of trade routes, there was a city Whiterun. Companions honored its history, because the most valuable of his possessions believe debris ax Vutard - relics that belonged to himself Ysgramor. 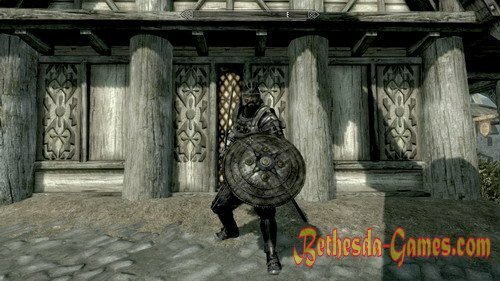 As a result of the fact that the Fighters Guild has no offices in Skyrim, it often falls on the shoulders of the Companions various mercenary-related work using the inhabitants of Skyrim. Companions are not the guild, but because they do not have a clear hierarchy. Companions have no leader, there is only Harbinger and inner circle, which consists of the most distinguished warriors, but they are just more respected warriors, not the senior officer. Itself guild nobody obeys. At the Companions have well-kept secret - not only members of the Circle of outstanding soldiers, but is negotiable. About lycanthropy no consensus among the members of the circle, some believe that it is a gift, but in recent years, many have considered it more a curse. Nevertheless, everyone start following passes a rite of passage, which is the drinking of blood lycanthrope, and inevitably end with the adoption of this "gift". Despite this, the members of the circle are not wild beasts, they have learned in one way or another to control his thirst for blood, but their dark side led to a feud with the werewolf hunters, known as the Silver Hand. Each may wish to join the ranks of the Companions, but not everyone can take there. However, the decision about whether a beginner deserves to become a member of this fraternity, lies on the shoulders of Harbinger, only he can solve this issue. Imperial Legion - is the most disciplined and effective army force in the history of Tamriel. His garrisons are located in all provinces and are designed to maintain order and the laws of the Empire in the regions. During the absence of a military threat to the lower ranks are busy maintaining order, escorting the imperial goods, rescue and destruction of dangerous predators. If necessary, the garrisons can be mobilized and used to reflect external threat. Those soldiers who were able to express themselves particularly in the service in the legion, can be translated into the ranks of the Imperial Guard. 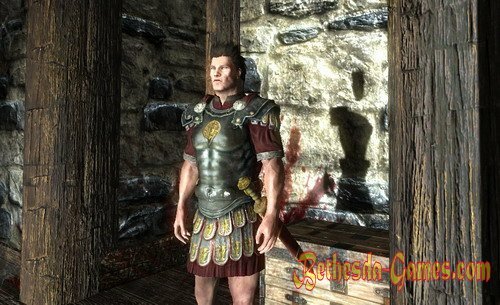 In Skyrim Imperial Legion commanded by General Tullius, who gives orders from its headquarters located in a gloomy castle that in Solitude. Though the Imperial Legion and controls most of Skyrim, in connection with military operations against Ulfric and his brother Storm, the need for recruits in the Legion felt stronger and stronger. 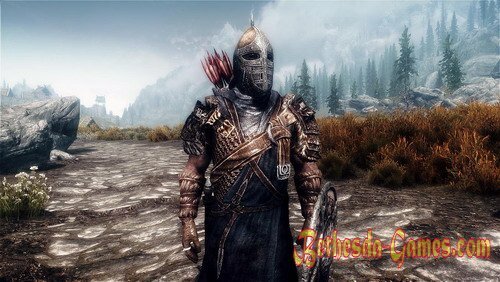 Because the ranks of the Imperial Legion can join everyone who is willing to do his civic duty and fight for the good of the Empire and the future of Skyrim, and has criteria such as endurance, loyalty, courage and valor. However, this theory, in practice, the officers of the Imperial Legion may well arrange for wanting to join the Imperial Legion test is often difficult to verify his physical qualities, and having experienced the seriousness of his intentions to serve the Empire. College of Winterhold - an organization whose purpose is to study magic. Since the College of Winterhold is an independent organization, it did not affect the dissolution of the Mages Guild, which occurred at the beginning of the Fourth Age. In this regard, it is the only organization in the territory of magical Skyrim. It is situated in Winterhold that has long been the pride of the city, because the College had no equal in the whole imperial province. However, it should be noted that those days are far behind. 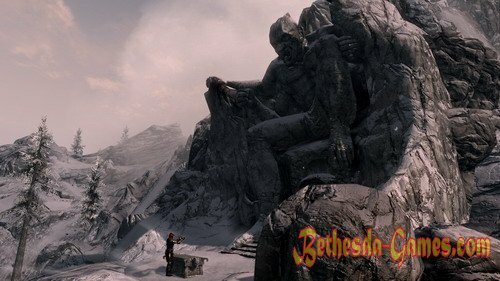 The College has no branches or representative offices in other cities in Skyrim or beyond. It provides training magic, and the organization's efforts are aimed only at improving the magical arts, as well as search and preservation of knowledge. The College pays almost no attention to politics, as opposed to the imperial institutions such as the Synod and the College of Whispers, with whom she has a strained relationship. 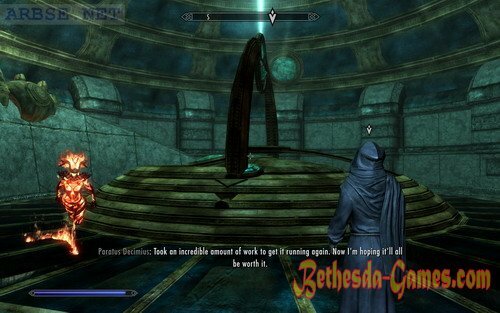 In Skyrim, traditionally not too favor magicians. In this regard, the College supports almost no contact with the outside world, mainly providing services enchantment items. Relationship between Skyrim and colleagues Winterhold became even more strained after the collapse occurred Great - unknown natural phenomenon, which almost completely destroyed the once great city of Skyrim. 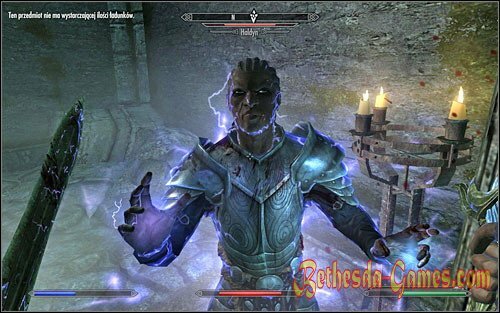 Given that the Great collapses mysteriously survived College of Winterhold remaining city residents believe that this cataclysm guilty magicians of the College. Magicians themselves deny their guilt, believing that cataclysm may have been echoing the Red Year, express yourself in such a strange way, many years later. However, ordinary people do not particularly believe in this version, considering that the College is just trying to save his reputation. The College accepts into its ranks any individuals expressed their desire to engage in science and magic and have this predisposition, to demonstrate their knowledge on the entrance exam. Typically, in order to pass the entrance exam, you must demonstrate their magical abilities, but there were also cases when the panel accepts without entrance tests. Blades - an elite order of knights formed during the second era of Tiber Septim, whose main task is to service the imperial Septim Dynasty. Prior to that, the Blades were known as Dragon Guardian, whose history dates back to Akavir, and the main task was to search for the extermination of dragons and dragonborn. As Dragonborn, Tiber Septim reformed the order, putting it at the service of the Empire and the ruling dynasty Dragonborn them, but for the coming centuries Blades still mindful of their original mission. Not surprisingly, the form, weapons and symbols of the Order of Blades, heirs Dragon Guardians, carry with Akavir origin. Stealth and caution - has been a major feature of the Order, and because everything about him says, shrouded in myths and legends, and some residents of Tamriel even doubt the very existence of the Blades, which, however, did not prevent members of the Order to pass the greatest warriors in Tamriel. After dragonborn dynasty ended with the death of the last of the Septim, and the empire was left without the Emperor's Blades not knowing about their future goals, continued his secret service against potential enemies of the Empire, although not being the official imperial order. Not believing in the return of the dragons, they were first spotted in the Aldmeri Dominion major threat and sent all the forces against him, with the result that vzymelo its influence and one of the items of the notorious White-Gold Concordat which had to sign the empire means the total disbandment and prosecution of this Order. The small and persecuted, Order nevertheless still alive while in hiding. 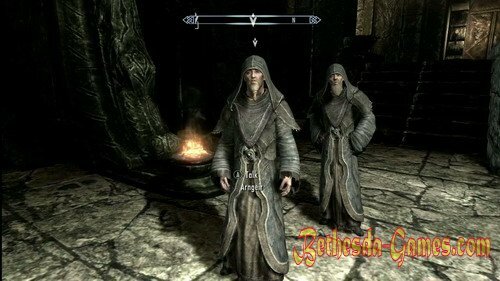 Brothers Storm - rebel organization has set itself the following objectives: the overthrow of Imperial rule in the territory of Skyrim; Skyrim independence from the Empire; cancellation of White-Gold Concordat throughout the Skyrim that primarily involves lifting of the ban on the worship of Talos. Leader Ulfric Stormcloak is Petrel, Jarl Windhelm, who recently appeared in Solitude and killed in a duel High King of Skyrim, thereby ushering in a civil war between the Imperial Legion and the Brothers of the Storm. 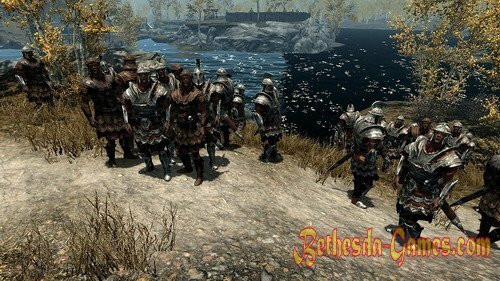 The chain of events that led to the Civil War, begins during Markarth Incident when Ulfric was able to block the city of the same name have captured his Outcasts - Richman groups wishing to make a limit independent of Skyrim. The winner refused to give Marquart Empire until it allow Ulfric and his people to freely worship Talos. Empire had to go for it, but soon it became known Thalmor emissaries who followed the fulfillment of the terms of the concordat white gold. 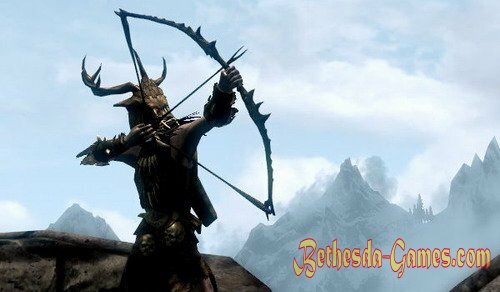 As a result, the Empire was forced to strictly comply with the terms of the Concordat, and Ulfric, arguing that he had been deceived, has created a group known as the Brothers of the Storm, with the aim at any cost to save Skyrim from the influence of the infamous agreement with the elves. Ulfric Brothers and Storm control Skyrim smaller area than the Imperial Legion, but his influence is large enough. 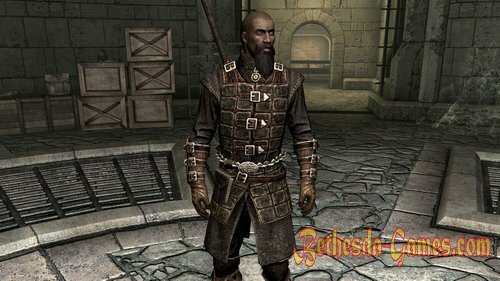 Many of the possessions of Skyrim Stormcloaks support, but as a result of constant clashes with soldiers of the Imperial Legion, Brother Storm needed more and more new recruits. Join the Ulfric Stormcloak and not everyone will be able to counter. 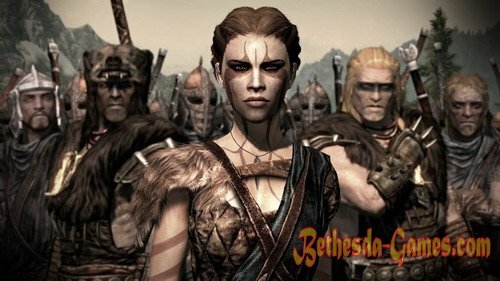 Theoretically, enough desire to fight for independence and originality of Skyrim and drive the elves from the territory of Skyrim, freed from the obligations of the Concordat white gold. In practice, the Brothers of the Storm exhibit xenophobia and suspicion to the representatives of non-indigenous race, and can arrange a beginner who wants to join the rebellion, an entrance test to demonstrate the seriousness of his intentions. The Synod is one of the two largest magic organization that replaced the Mages Guild after its collapse in the Fourth Age. Representation of the Synod in the cities of the empire is not referred to as guilds, and the Conclave. 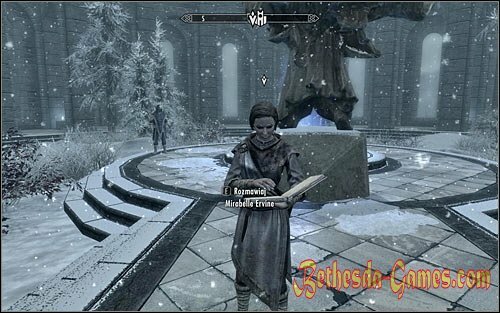 Other magical organizations, including the College of Winterhold not particularly favor the Synod, considering that most of those passionate about politics and not studying magic art. To become a member of this organization must make a mandatory fee for membership in the guild, after which you can join the ranks of the Synod. 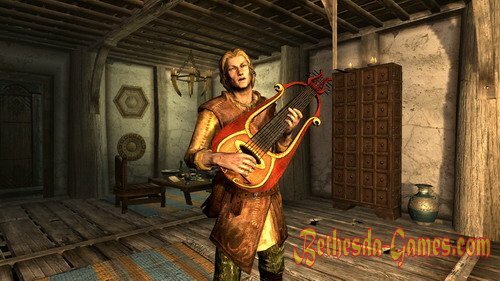 Bards College was founded during the reign of Alessian Order, and is famous not only talent, but also heretical antics. Pupils arrange noisy revelry that is well suited to their profession. Every year they flood the market during the holiday week, culminating in the burning of the effigy of King Olaf, one of the now forgotten enemies in the War of Succession of Solitude. True recently, in connection with the death of the High King of Skyrim, Elisif Beautiful, new Jarl of Solitude, has banned the burning of effigies celebration of King Olaf, considering that in the light of recent events, this festival too cynical. Graduates of the College there are no problems with employment, they can easily find a place in the noble families of Tamriel. But many of them still prefer to become itinerant singers. Become a member of the College can be anyone who has the talent to be a bard. Psijic Order - the oldest monastic order Altmeri Tamriel. Members of the Order Psijic follow the old ways - the philosophy of meditation and training, allowing a strong personality to subdue the forces of nature. Although the Old Way and different from magic, the results are similar between them. Some believe that the old way is akin to Mysticism (although the classification of schools spell came much later than the old way). Religious worldview concept of the Old Ways most like to ancestor worship. Order immersed in the study of the divine creation of the world, the explanation of the variability of Sithis and commitment to the concept of the Whole myth. Its members believe that Aedra and Daedra - it's just the spirits of the strongest personalities, whose power and passion gave them such power after death. One of the tasks Psijic - act so that power does not reach the hands of evil men, so Psijic Order Council has repeatedly influenced the policies of Tamriel, and this influence varies with time. If an individual who instructs Psijics acts of evil, the debt Psijic - balance is evil by any means. Trainee Psijic Order may even become an ally of a ruler, but it is a very dangerous attitude. If the governor does not take wise counsel Psijic and make him commit an act which runs counter to the concept of the old ways, then that will be a total of three outputs: accept and thereby incur the dark forces that refuse to comply, dooming shame on himself and Artaeum island, and thus permanently closing its way into Psijic Order, or commit suicide. Fiefdom Psijic Order is Artaeum island - the third largest island of the archipelago Summerset. However, the map it is not possible, as part of the island are constantly moving in a random order and are available in several dimensions. In addition, the island is protected from attack intruders, as if Artaeum going to land those whose presence is undesirable for the Order, the island becomes immaterial. East Empire Company - a monopoly business education, which has received numerous privileges from the Emperor. He has also been appointed and the board of directors, which run East Empire Company. The Company has the exclusive right to trade in certain rare commodity eastern provinces. It also appoints rates and regulates the import and export of other goods. On top of that Empire Company has the right to sweep mining of rich deposits and the base of the column in the remote lands of the Empire. Because of its wealth and patronage of Emperor Imperial company has a strong impact on local governments. In the East Empire Company may try to join anyone, but the Company does not accept into its ranks anybody. Applicants must be strong-willed people who can be able to conduct business with. Each employee is given action, the value of which depends on how well things are going at the office or a colony of the Company. 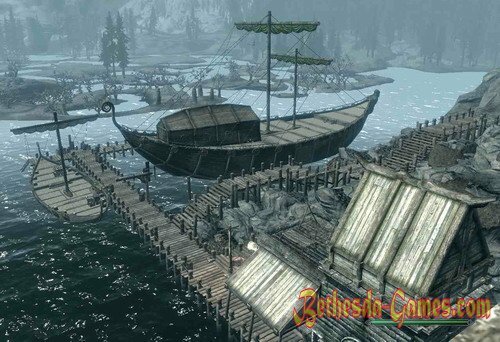 In Skyrim, the recent case of East Empire Company are bad, in connection with the aggravated pirate attacks on ships Companies and corruption. Penitus Okulaus - Spy structure, replacing the Blades during the Fourth Age of the court Titus Mead. The main task of the inspectors Penitus Okulatus is intelligence, espionage and special operations for the benefit of the new Empire and the latter-day foreign ministers of the emperor. However, the organization is free from racial prejudice and to join it can be representative of any race, with the necessary skills and support foreign ministers of the empire if it will be issued a recommendation. Newly members tested, the final test of which is that the subject should be perfectly calm, keep calm, to kill a stranger to him a man without going into the details of the case. Usually training lasts quite a long time, for about three years, among other things, it includes the science of necromancy, but rather to discover and talk to the spirits of the dead, which should help in the spy business. Watch Stendarr - organization dedicated to fighting Daedric threat, wherever it was. The main objective of the Order is to fight the Daedra and their effects, including the destruction or protection Daedric artifacts, but at the same time and in the Sentinel hunt vampires, werewolves and witches. Watch members worship the god of Mercy Stendarr that connects them directly to the Temple Stendarr. Talmor - governmental body resulting from the creation of the Dominion Aldmeri controlling land under his control Valenwood and subsequently ruling in the modern Dominion. Originally created as a Thalmor interim government and is a collection of leaders Bosmer Altmeri and diplomats, and although at first he was not very popular for the locals it look much more attractive chaos of previous years. Subsequently Talmor became the dominant party in control of the entire Aldmeri Dominion. In this case, the main task Tamlora and Aldmeri Dominion is sublime elven race and restoration of the political forces that were in Merethic Era. Summerset Shadow - Altmeri Thieves' Guild, recently wielded in Skyrim Windhelm in the territory, and create direct competition for the Thieves Guild. Unlike conventional Thieves Guild, the organization consists entirely of high elves and differs disregard for human life and a violation of the tenets of thieves, which also podmachivaet and reputation of their competitors - Thieves Guild. Banda prefers looting and destruction of graves - digging corpses and cracking Hall of the Dead. Dawn Guard - currently organization Vampire hunters based came from Watch Stendarr wounded, and the name for the organization was borrowed from the former owners of the Fort Guardians of dawn, which at the moment is the home base for a vampire hunters. And if the "new Dawn Guard" has already established itself as a vampire hunters, the "Old Dawn Guard", at the same time did not keep an accurate history and one version contradicts the other. Fort Guardians Dawn is owned Rift Skyrim. 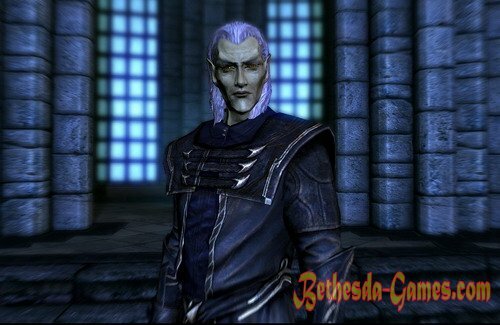 At that time, as a priority Watch Stendarr is hunting for Daedra and possibly to other vermin, the Dawn Guard has devoted his work exclusively vampire threat, considering that it can not be ignored. For these purposes, a guard at the disposal of crossbows with explosive bolts, Runnoe weapons and armored trolls. Given that the organization was formed recently, she enlists the active pace of new people into their ranks. 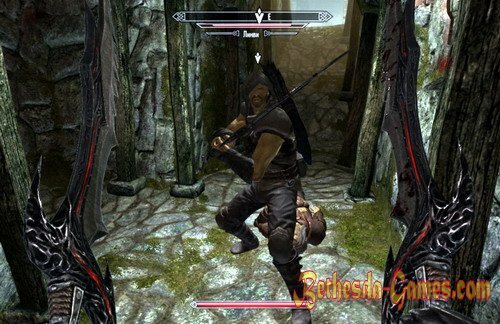 Therefore, to join the Guard can be anyone who wants to devote himself to get rid of Skyrim vampire scourge. The Keepers of the Razor - grouping, formed shortly after Oblivionskogo crisis and has set the goal of surviving the destruction of the Mythic Dawn cultists and most achieved much success in this business. Initially it was just a militia, and its name The Keepers of the Razor this group received after the legendary artifact found Daedric Prince of Destruction - Mehrunes Razor. After finding the razors, the artifact was divided into three parts, which were distributed among the three oldest members of the squad, who formed the Inner Circle. It was agreed that all three of the shaver will be transferred from the firstborn to the firstborn until "until we moon twin disappear from heaven." Silver Hand - grouping hunters werewolves in Skyrim. The main objective of this organization is tracking down and destroying werewolves and other shapeshifters. Usually stationed for this organization are the ruins of the old fort. A distinctive feature of the Silver Hand is the use of members of the organization exclusively silver weapons. Rogue - armed rebel group, a tool in the eastern limit, which consists of Richman, but also includes other races, their sympathizers. Rogue also help the witch. Shunned goal - to recapture the eastern limits of the Nords in and return this land to possess Richman. Even its name "The Rogue", this group has taken to emphasize the fact that they have become pariahs in their own land. Among the most Richman inhabiting limit, Rogue considered "real" men and women limit: those who refused to surrender Nords and continue with them unequal struggle. Rogue continued to practice the old traditions, including the bloody sacrifices and worship the old gods, who in today's society are considered heretical deification of animals and nature spirits. Those traditions which all other Richman betrayed in exchange for peace. Because of such actions misunderstood, Rogue called "insane" Reach. Nevertheless, despite the noble motives, actions Rogue are exclusively predatory character. In the Imperial Legion Rogue compared with conventional robbers who constantly raided the territory of East Reach, plundering the land and tearing down the supply of goods. However, unlike the usual gang attacks during attacks Rogue considerable sums of money are still intact, and the fighters Rogue without further doubt sent to the death, but would not fall into the hands of imperial soldiers. "Blood Horkers" - that calls itself a group of pirates, hunted in the northern waters of Skyrim since time immemorial. During the Civil War, when the Imperial forces and Storm Brothers were busy sorting out with each other, "Blood Horkers" have intensified, so that their ships have been attacked and East Empire Company. In this case, "Bloody Jorquera" are not simple robbers, they are smart, cunning and not shy of using magic. Leader they had evil magician Redguard Haldyn, who lives on the island of Japhet's Folly.